Who’s ready for a major upgrade of one of the most basic cocktails around? When we found this Pomegranate Hibiscus Ginger Ale last weekend, we decided what we’d do with it before we even left the store. We love trying out new products and ingredients, and sometimes a new ingredient can take something simple to the next level. 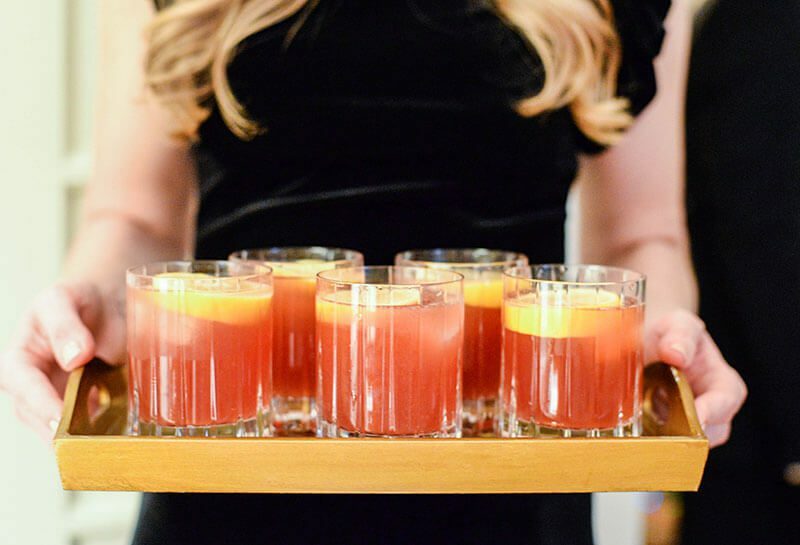 This “Jack and Ginger” cocktail was so easy delicious and would be perfect for a party! 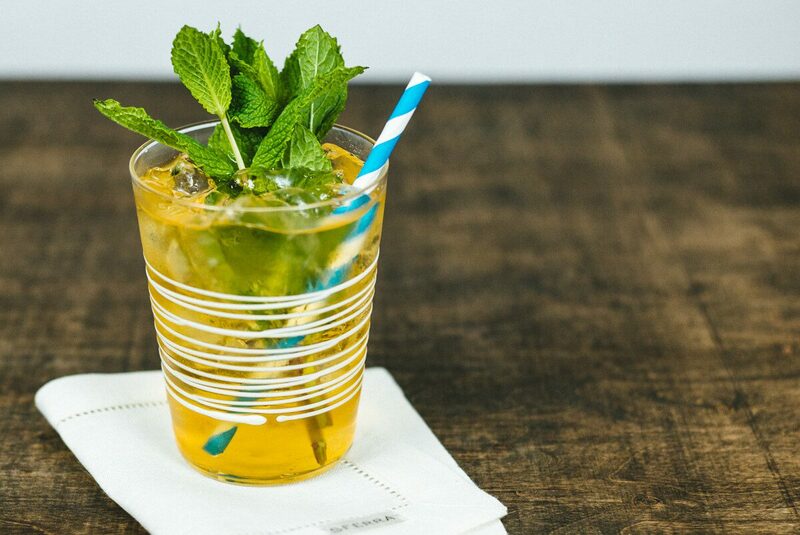 It’s just three ingredients–bourbon, ginger ale, and mint. Pour the bourbon and ginger ale over ice, garnish with a mint sprig, and you’re good to go. The pomegranate hibiscus ginger ale has just a touch of fruitiness and a slight floral note. It’s just perfect. We also love that it has real pieces of ginger and pomegranate floating around in the bottle, so you know it’s more than just sugar and flavoring. On our last trip to Italy, we found the most beautiful glasses from Zafferano at the St. Regis Hotel in Rome. They were using them as water glasses, and we asked the server where they were from. He wrote down the information and we ordered a set and had them shipped to our new apartment in California right before our move. They disappeared from the mail, never to be found, and when we tried to reorder them, they had been discontinued. We were ecstatic when we found these similar glasses from the same designer at Bloomingdale’s a few months ago. We love the swirl pattern and they are a fun reminder of our trip. 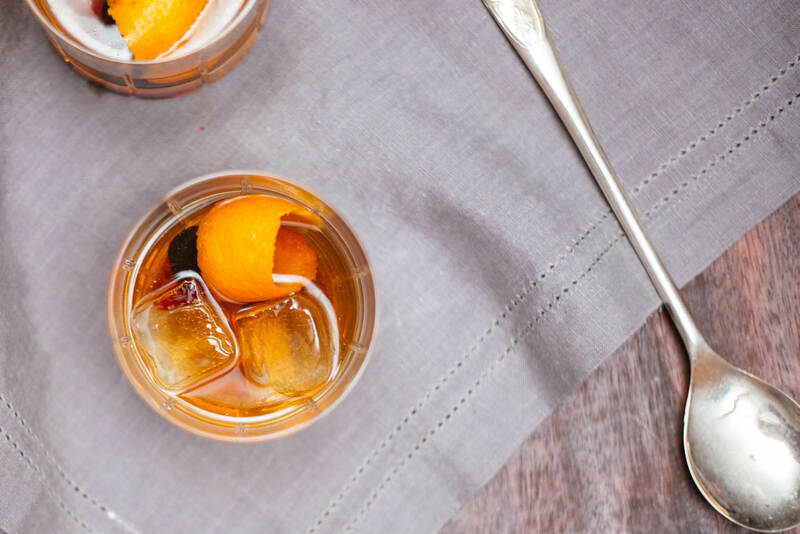 Fill a tumbler with ice and add the bourbon. Top with pomegranate hibiscus ginger ale and give the cocktail a quick stir with a cocktail straw to combine. Garnish with a sprig of fresh mint and serve.